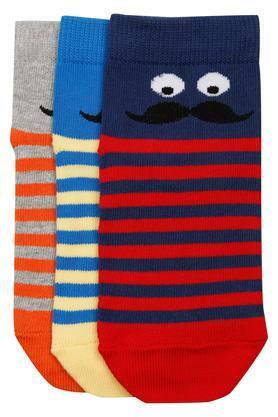 An essential accessory that never really leave our companionship at any age is a pair of socks. 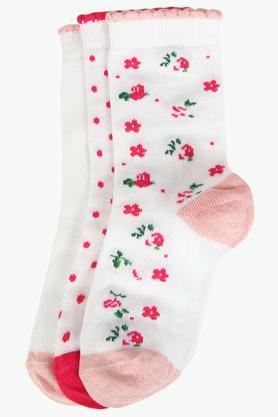 When we’re in our childhood days or when the puberty hits us, socks are among those companions which only increases in size but never gets out of our life. 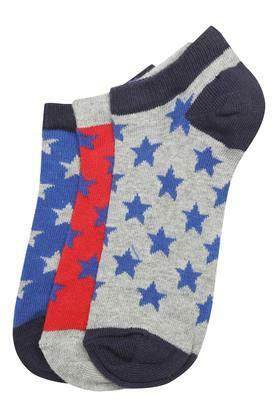 When we’re infants, we wear socks to keep our feet away from cold and dust, when we start going to school; we have our school shoes to pair them up with, and when young; our formal shoes will need them. 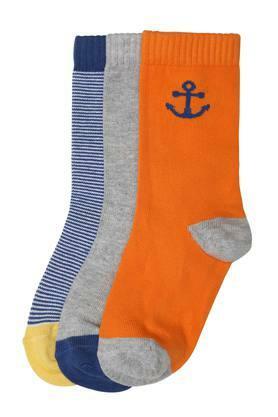 Apart from the routine, if we talk about the vacations, socks go directly to our ultimate travel essentials list. 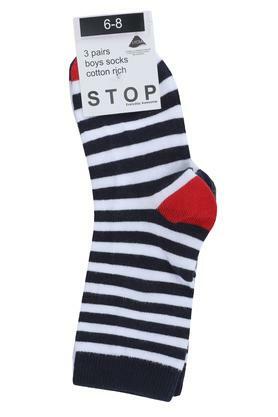 Shoppersstop.com has the widest range of socks for every work of our life. Let us talk about the collection of kids socks that we house. Our little butterflies (girls) usually look cute in adorable dresses like a fairy dress or a frock. We find an urge to protect their baby legs from pollution, cold, direct heat and dirt when they’re dressed in such cute short dresses. Shoppersstop.com has the perfect solution to it. Buy thigh high socks or the stockings for such baby clothes where their legs will be covered entirely and it won’t demise the appearance of the dress. 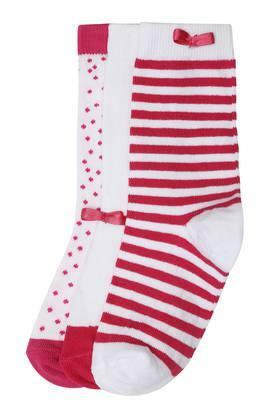 Our range of kids socks, leggings socks and stockings comes in easy to maintain material and are made of fine quality fabric. 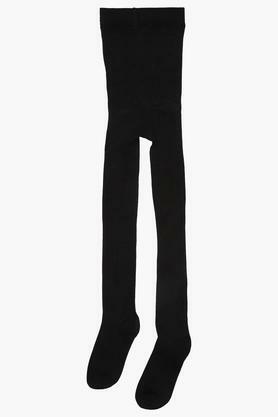 The designs, prints and colours are so attractive, for it will go with any dress you want to club. 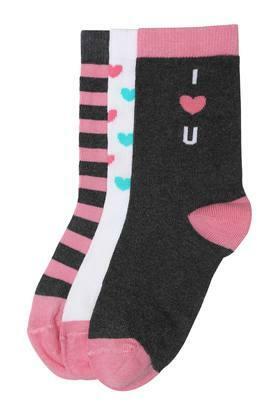 Shoppersstop.com brings the best-in-quality range of kids socks you can purchase for your child. 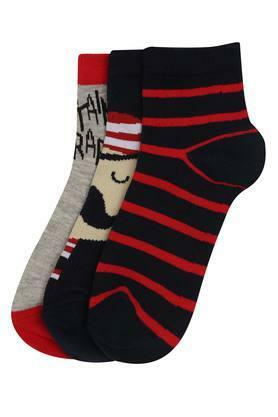 We offer a wide range of ankle length socks, crew length socks, knee-length socks, calf-length socks and thigh high socks; you name it, and we have it! 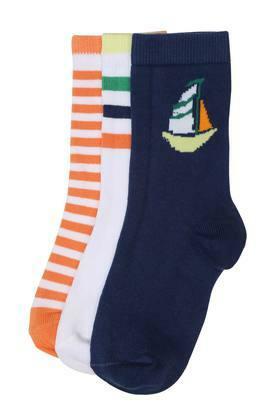 Your kids will stay comfortable like never before in these socks due to its breathable stretch fabric. 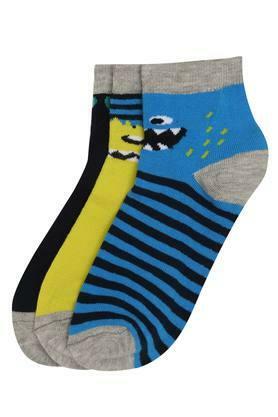 The winter socks will provide enough warmth, and regular socks will provide enough comfort! 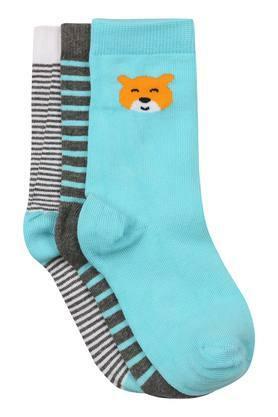 The animal prints, cute woven patterns and catchy designs will charm everyone when you choose these socks for your kids.